DC Comics will have a rather weaker appearance in the movies this year with just Jason Momoa’s Aquaman coming in December and Teen Titans Go to the Movies coming out. 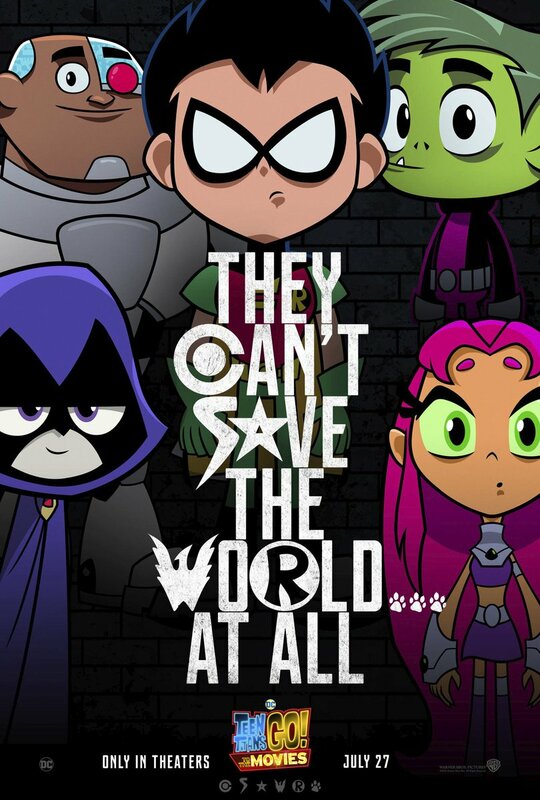 But that doesn’t mean they can’t have fun promoting their movies; case in point this Teen Titans Go Movie Poster that straight up parody’s Zack Snyder’s Justice League. I don’t exactly have high hopes for this movie but I’ll watch it nonetheless. I have to admit there were a few great episodes of Teen Titans Go on Cartoon Network back when they were still airing the series but it’s not like the original Teen Titans series which just went from crazy and funny to downright dark and serious. Remember when they adapted the Judas Contract featuring Terra? Yeah, I said, DARK.